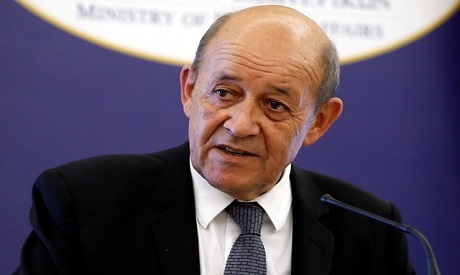 France's foreign minister said on Wednesday that the indiscriminate bombing by Russian, Syrian and Iranian forces in Syria's Idlib region could amount to war crimes. "The hypothesis of war crimes can not be excluded ... once one begins to indiscriminately bomb civilian populations and hospitals," Jean-Yves Le Drian told lawmakers. He also said that efforts should be made immediately to prepare for a mass humanitarian crisis should thousands of people be displaced by the fighting.